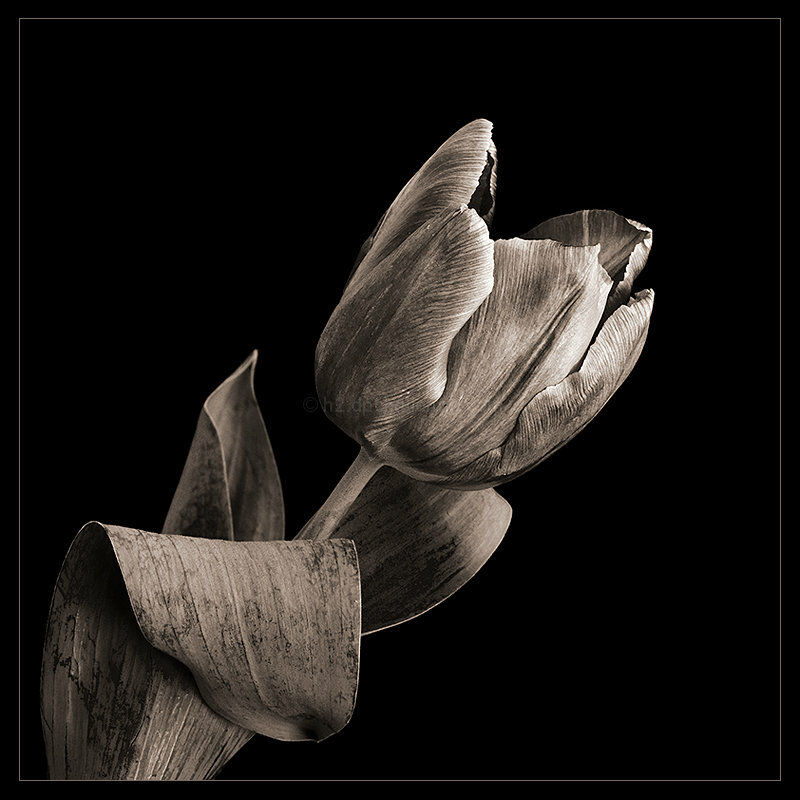 Great detail, good lighting and composition, but the colour definition and contrast that a tulip has is lost with the b & w treatment which somehow just doesn't sit right with me. I like the tones and detail. Was this just a single light? Very nice light, indeed, and wonderfully detailed textures. Excellent detail and the color tone is very nice. Black and white works very good here. Gorgeous detail. Like the processing & square crop. Proudly hosted by Sargasso Networks. Current Server Time: 04/22/2019 12:25:27 AM EDT.